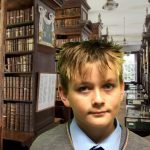 An amazing history lesson in Ireland’s biggest and tallest standing church. 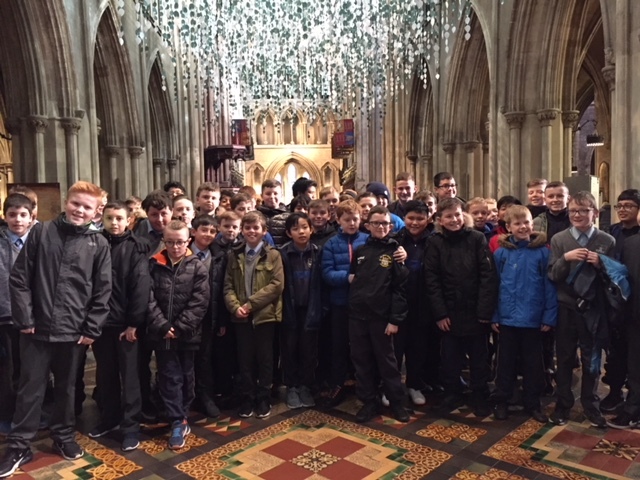 The 6th class boys from two classes Rm 27 and Rm 26 got to go to St Patricks Cathedral on Thursday, and Rm 14 and Rm 15 on Friday. 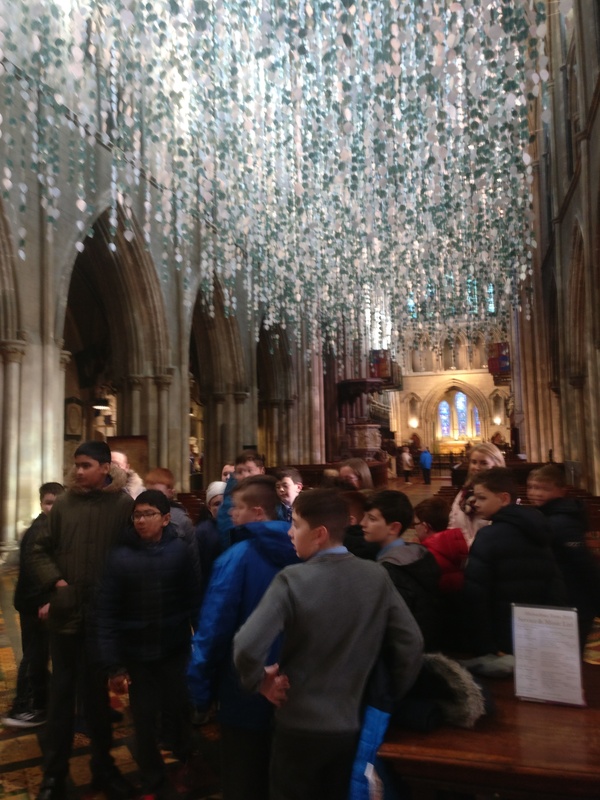 These classes got a guided tour round the church. 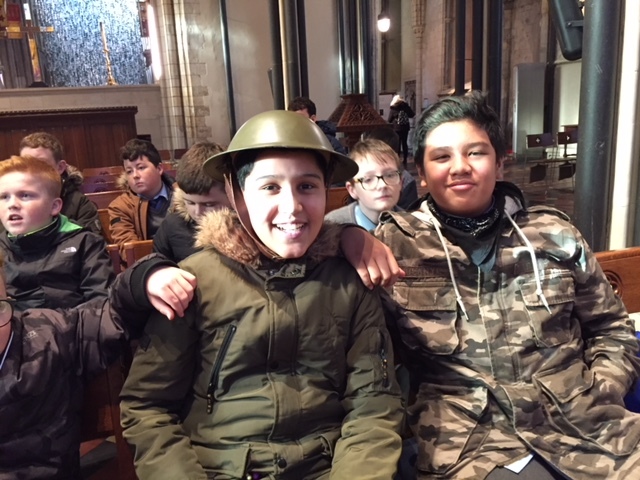 The classes loved this they got to learn loads about the history of the church itself, WW1 soldiers flags that were in the war, were later put in the cathedral. The cathedral was hand built with giant boulders of stone. 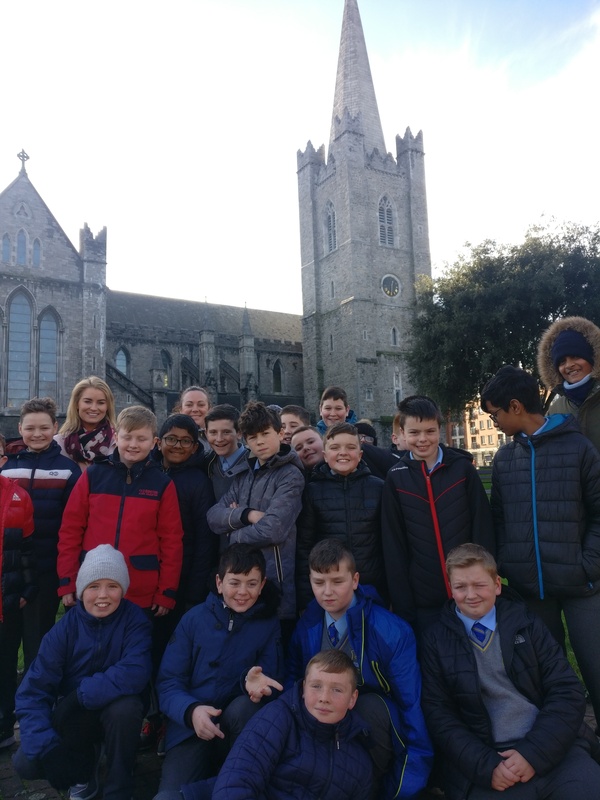 The two classes loved this daytrip as they got no homework and a warm cup of hot chocolate. The boys of Rm 14 and 15 got to wear soilder hats and jackets, whilst Rm 26 and 27 got to write about one of their loved ones and put in a pile of others. Then at the entrance there is loads of hanging leaves these accumulate to about 30,000! All these were written by people that had relatives in war. 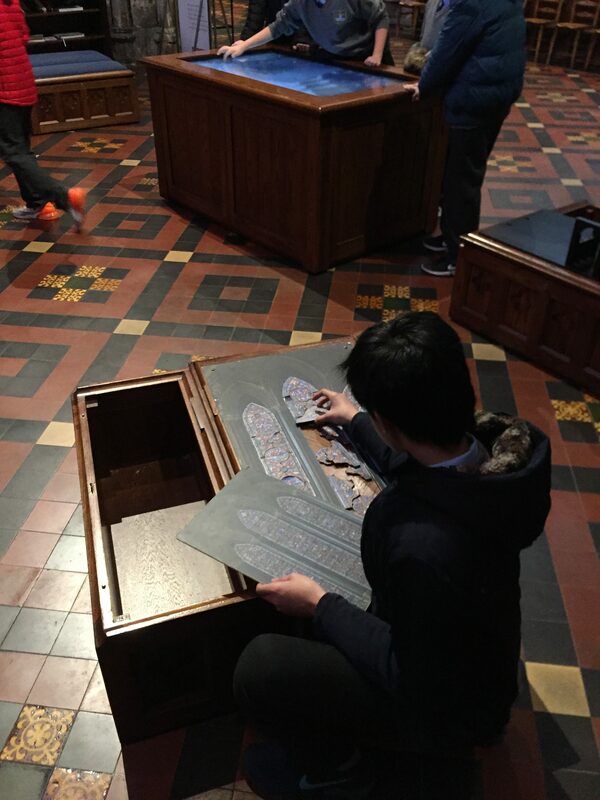 But before you left the church you got to do some stained glass painting and drawing and even a giant screened map of the whole cathedral. When we got back we got to go out to yard and play for 15 minutes before going home.